Making his welcomed return to Ascension® is none other than the grooviest DJ this side of the Alps, Swiss maestro Nick Larson. A track that is exactly what it say it is! 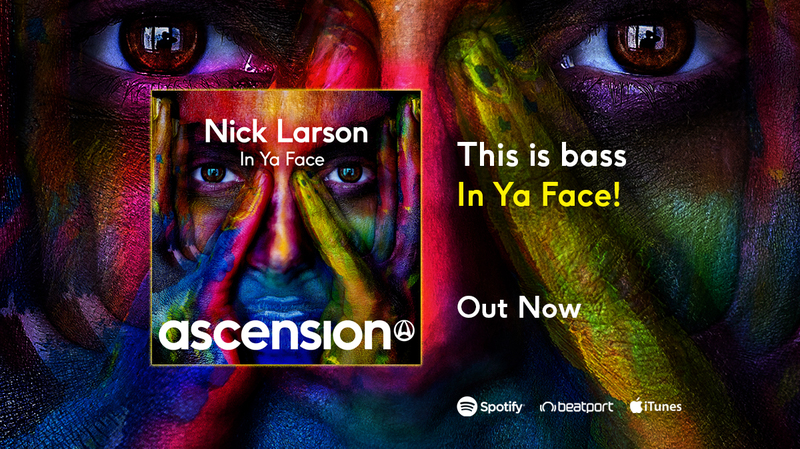 With In Ya Face, Nick delivers a full on funky, chunky club house banger fuelled with big tribal percussion, a heavy grooving bassline and epic drops that were made for the club. The guitar breakdown oozes the pool party vibe and the lead synth bleeps takes it to the next level. This is music to shake to. Enjoy. Ascension® is a record label and radio show passionate about dance music and club culture. We are a community of like-minded souls who share the love of euphoric music, dancing together, united in our purpose to strive towards a better world. The journey never ends, it evolves and the family grows. Ascension® is forever, we are the ascenionites.